New Year’s Eve is the biggest party night of the year. If you want to host a private or corporate dinner party to welcome the New Year in with style, follow our theming and catering tips below. The theme of your event will determine the dress code you ask your guests to follow, the drinks and food you serve, the type of music you play, and the overall atmosphere of your dinner party. So make sure you choose carefully! First, have a think about whether or not you want to generate a casual dining experience or if you want something a little more formal. Then, consider how elegant or luxurious you want the night to be. Your friends might be more of the casual backyard barbecue type or maybe they relish the idea of getting dressed up and dining on a full three-course meal with a glass of Champagne in hand. As such, you might opt for a glamorous old Hollywood theme or something modern and sophisticated with subtle touches of gold. If you’re having a more casual affair, you might opt for a New Year’s Eve in Times Square sort of atmosphere, with party hats and sparklers to accompany your fully catered backyard barbecue. Once you’ve decided on your theme, you’ll then be able to plan your menu accordingly. Now that you know what type of event you want to throw, it’s time to start thinking about which company you will hire to execute your event. At Prestige Catering, we specialise in event catering, as well as party hire in Perth, and can assist you with all your dinner party needs. From a fully customised menu to tableware, furniture and even marquees, we can help bring your perfect New Year’s Eve celebration to life. Our services can also be tailored to suit private parties and large-scale corporate events. Which type you take advantage of will depend on the theme you chose during the first stage of the party planning process. For example, if you went with an old Hollywood glamour theme, you might start out with an hour of cocktails and finger food, followed by a classy dinner with an entrée, main, and the best part, dessert! Wow your guests with an entrée of roasted sweet potato soup or sticky pork belly, followed by a main of aged MSA beef tenderloin or a polenta tartlet with field mushrooms, roast peppers and smoked tomato puree. For the finishing touches, you can’t go wrong with a sweet and fruity mango crème brulee or a pear tart tartin. 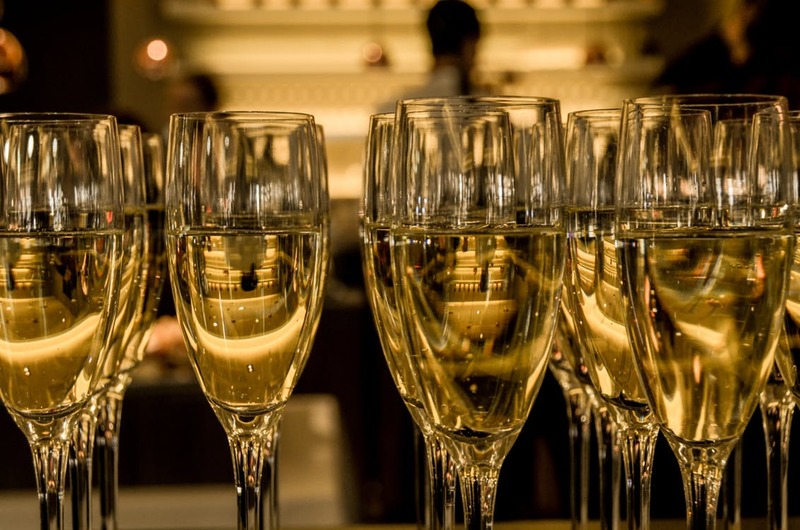 Also ask us about our beverage packages, because New Year’s Eve isn’t complete unless the Champagne is flowing. For help throwing the ultimate New Year’s Eve dinner party, or for any of your 2018 catering and party hire needs, contact the team at Prestige Catering today!